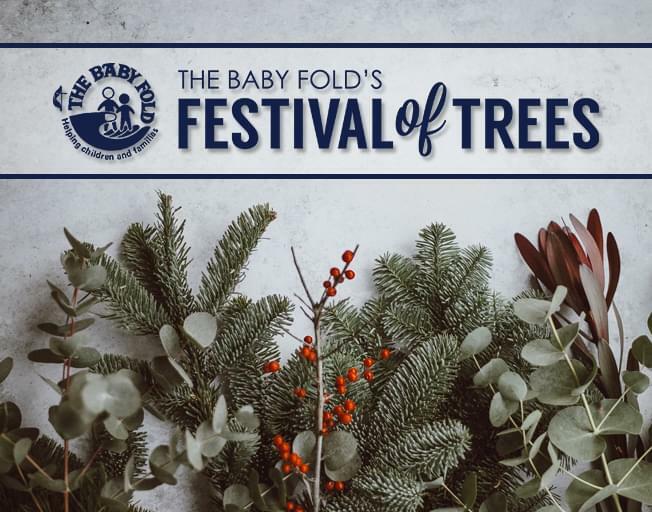 This year, The Baby Fold’s Festival of Trees will celebrate its 25th year as a family-centered community event. All proceeds from the 2018 Festival of Trees will again help to provide positive changes in the lives of children and families served by The Baby Fold by connecting them with opportunities for a better life. This year’s Festival of Trees will be held November 16-18, 2018 at the Interstate Center in Bloomington, Illinois. You are invited to kick-off the holiday season and experience all the wonderful things the Festival of Tress has to offer. Come enjoy the sights and sounds with the spectacular Christmas trees, gingerbread houses, entertainment to suit every taste, and special events for festival-goers of all ages!